Olympic silver medallist P.V. Sindhu yet again struggled to go past China's He Bingjiao and bowed out of the China Open World Tour Super 750 here on Friday. Third-seeded Sindhu, who clinched three silver medals this season—Commonwealth Games, World Championship and Asian Games—lost 17-21 21-17 15-21 to the eighth-seeded Chinese in the quarterfinal. Sindhu frittered away a 8-3 advantage early on to lose the opening game but made a roaring comeback in the second before losing the decider after a late charge. In the second game, Bingjiao surged to 4-2 but Sindhu turned the tables as she moved to 6-5 and then grabbed a 11-7 lead. She kept distance despite the Chinese snapping at her heels. In the decider, Bingjiao was more sure-footed than Sindhu as she executed her plan well to take a 11-6 advantage at the interval. 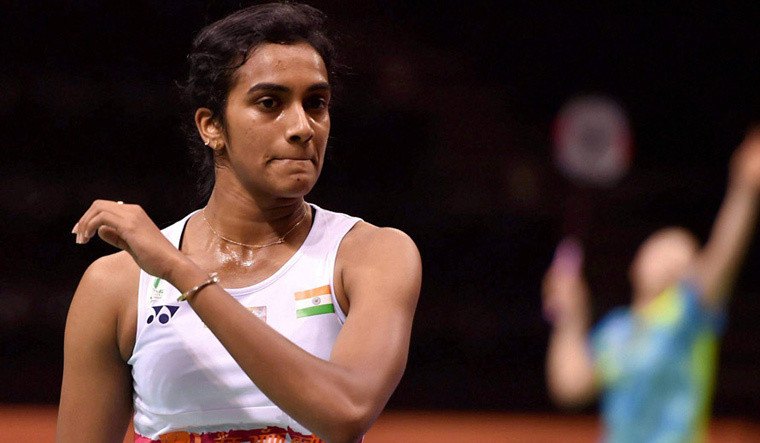 The Chinese managed to take a 15-8 lead before Sindhu produced a late charge to claw back to 15-16.